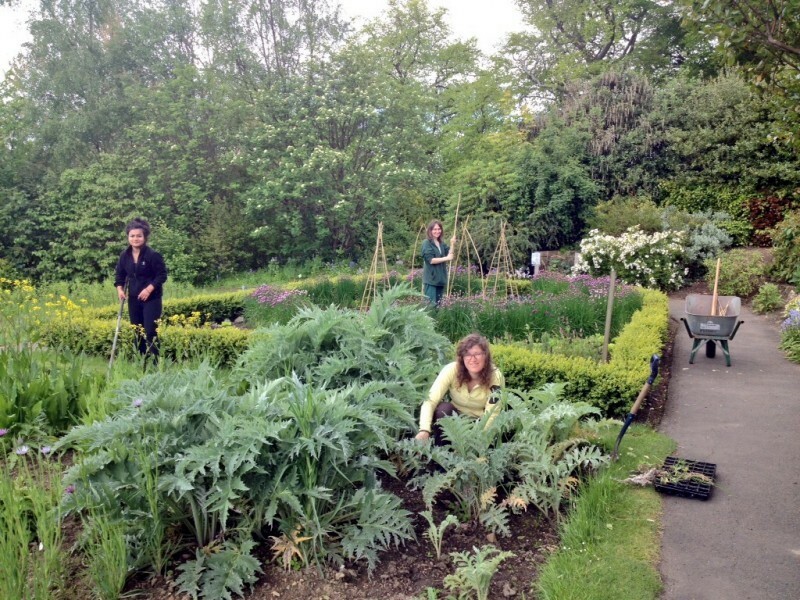 The volunteers of Glasgow Botanic Gardens help to maintain the Gardens in partnership with our experienced members of staff .This can be achieved through different roles such as helping with horticultural tasks, taking guided tours of the gardens or assisting with record keeping. Volunteer’s do not require previous horticulture experience but it is desirable. If Volunteers have specific interest or an area within the gardens where they would like to work we do our best to facilitate this. All volunteers will guided by trained members of staff. Volunteers can come for a few hours or full days if they choose. Our main days for volunteering are Tuesdays and Thursdays but we can be flexible on this. The benefits of volunteering are learning new horticultural skills, taking part in unique projects or simply gardening in a relaxed and sociable setting. If you would like more information or to inquire about becoming a volunteer please getting in touch. Please note as of October 2018 there is a two month waiting list for starting Volunteering.